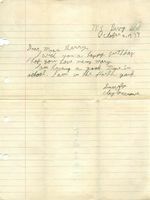 Erwin A. Holt starts out this letter by wishing Martha Berry a Happy Birthday. 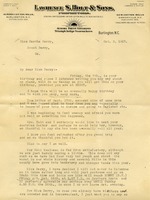 He then goes on to say that he will not be traveling to Columbus but instead coming to Berry College. He asks to be treated like all other guests and not to have a service for him specifically however he will speak a few words if she does.